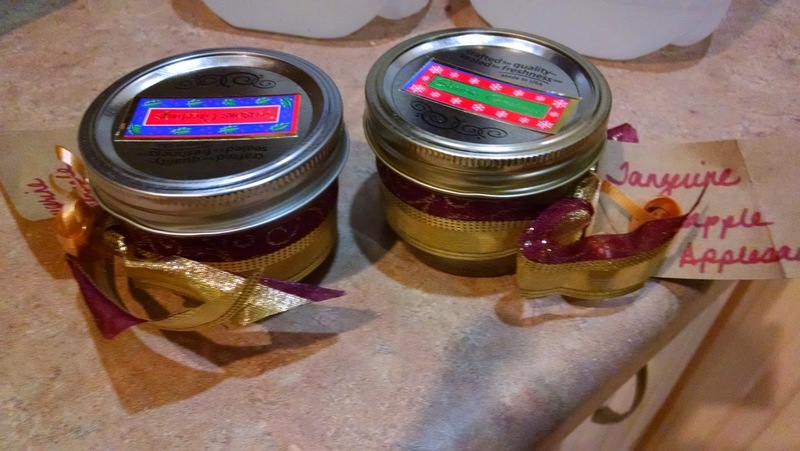 I know Christmas is over, but I had so much fun this holiday, making new things, crafting with my daughter, trying out ideas from Pinterest. 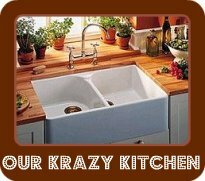 I want to share some of our creations. 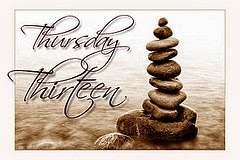 Link up with Thursday Thirteen, or add your link at the bottom of this page. To find out more about Thursday Thirteen, click here. 1. 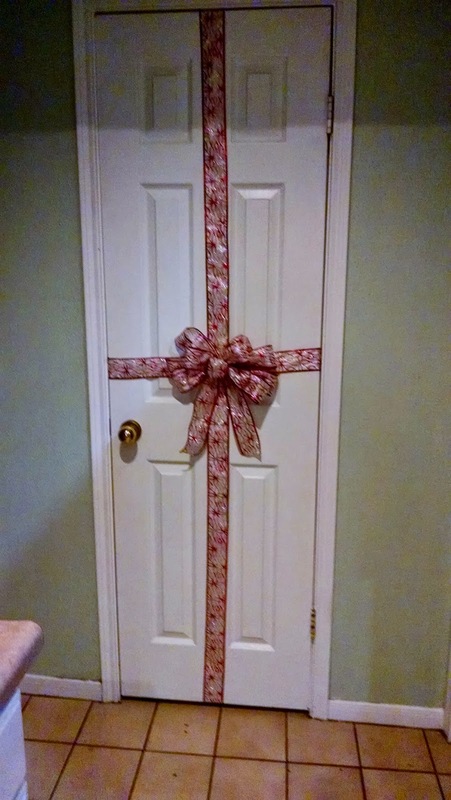 I learned to make bows, so my daughter thought of a way to display it. 2. And another bow on this wreath I made. 3. Noel. I mod-podged some wooden blocks with dictionary pages then made letter signs for them. I wanted to do this last year, but this year, I finally did. 4. My daughter saw an idea to make coasters, so she did. 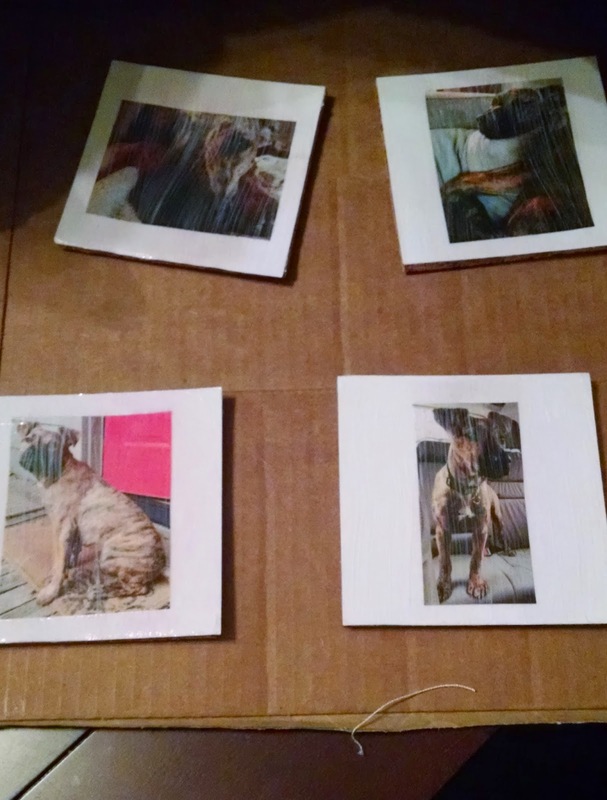 She put pictures of her sister's dog on them and gave them to her for Christmas. 5. 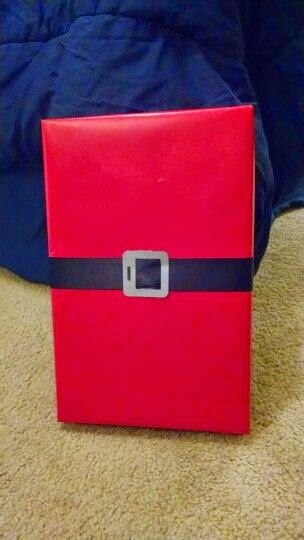 This was a fun wrapping idea we got from Pinterest. 6. My friend Tamy sent me homemade tangerine/pineapple/applesauce. 7. 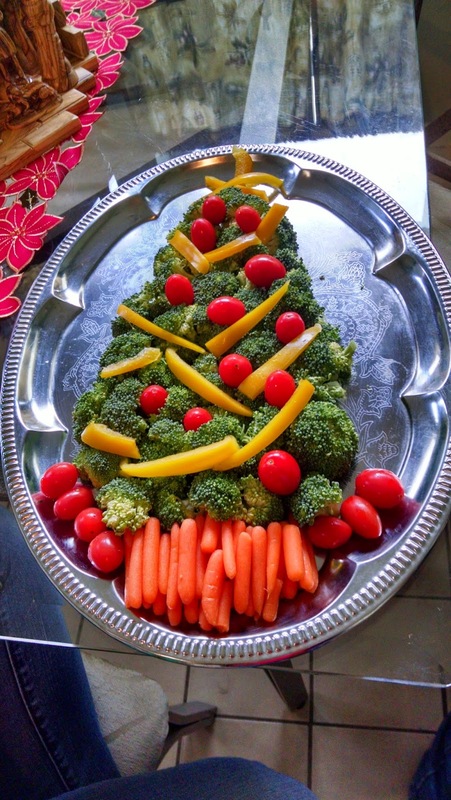 Another idea from Pinterest for our veggie tray. 8. 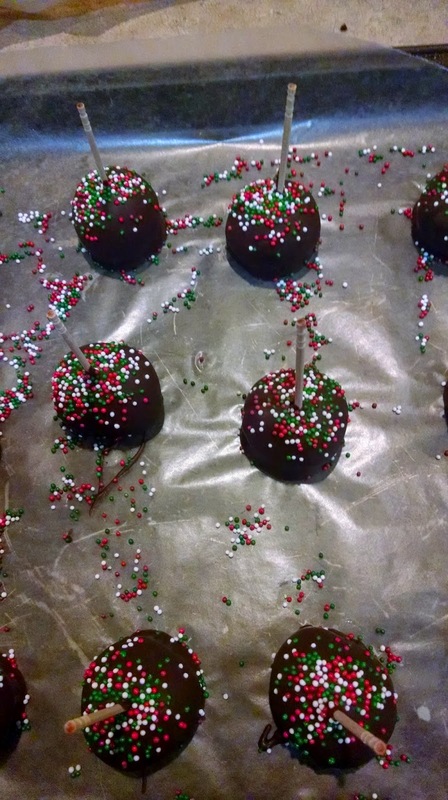 Cake balls have become our specialty for the last two years. 9. 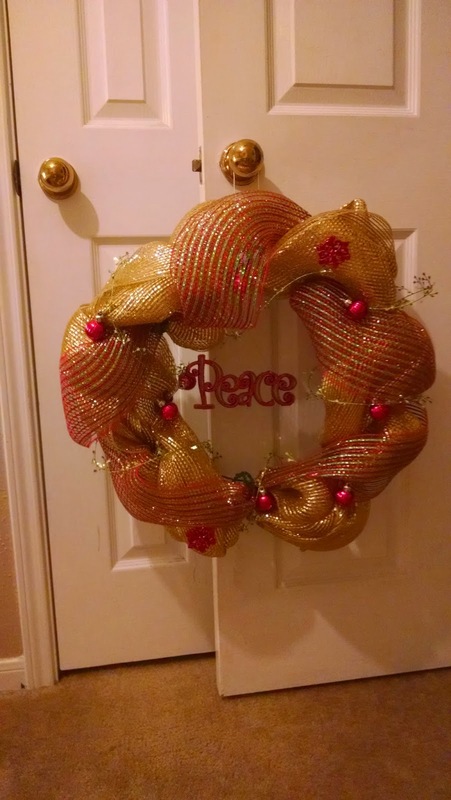 A mesh wreath my daughter made. 10. 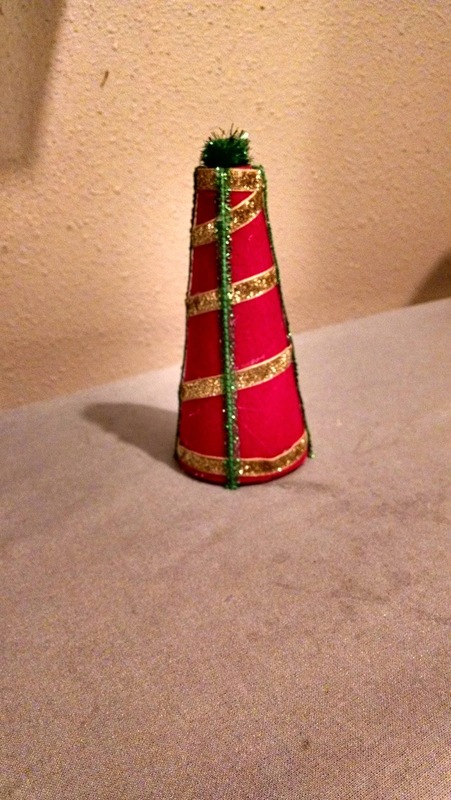 A little styrofoam cone I made into a little Christmas tree decoration. 11. 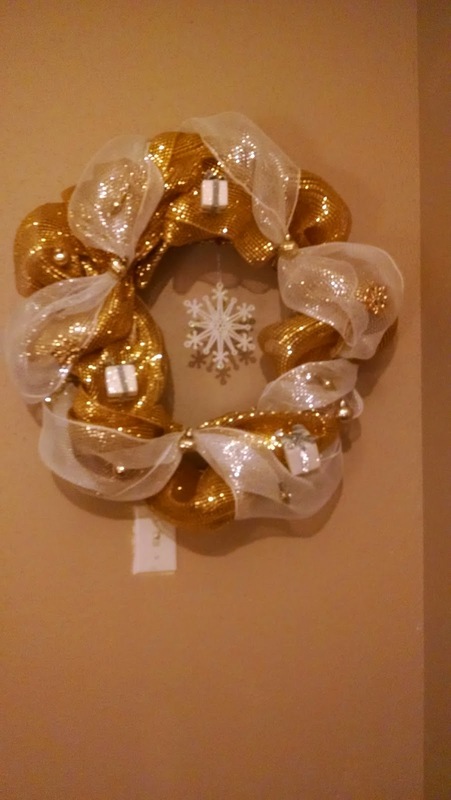 A mesh wreath I made. 12. 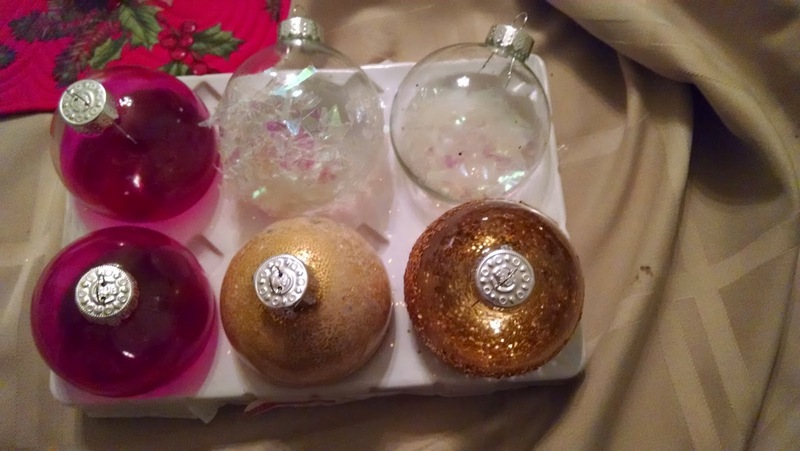 Ornaments, snowy, gold, and red. I'm linking up with Stacy Uncorked for some randomness! 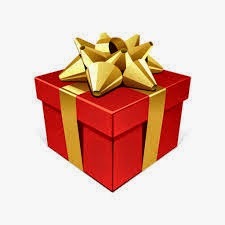 Don't you hate when you realize there is a gift you could and would like to buy for someone, but you've already finished your shopping, so buying one more gift would throw off the whole thing, and if you purchased it, you would have to purchase at least three others to make things more even? No? Well, I don't know any other way to explain it. 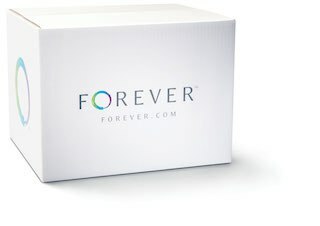 And speaking of gifts, everything I want this year is not really conducive to gift-giving, like new flooring, a deck, botox! Haha! Seems like everyone wants to point out my eyes, lately, including my mom and the strangers trying to sell eye creams and cosmetics at the mall. I earned these darn wrinkles! Actually, I already received the best gift this year from one of my students. 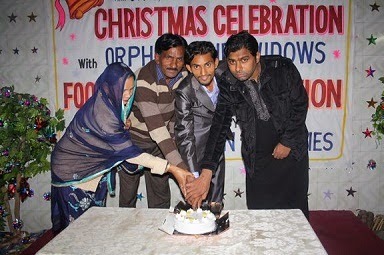 A few months ago, he was reading the One Year Bible during class (after his work was completed). I mentioned that I would like to read the Bible in a year but didn't have that version. Guess what he got me for Christmas? Yes! The One Year Bible, and I am so excited about starting my new venture on January first. I had a conversation with God, today. 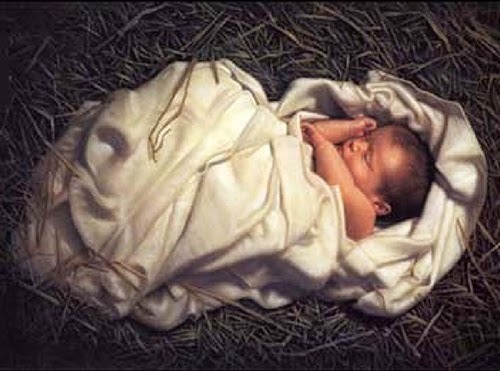 It was all about his selflessness in allowing himself to be embodied in Jesus, and how I fully and completely believe in the immaculate conception, His birth, His life and death. Just thought I'd throw that random thought in here. I really love my Christmas tree this year. I decorated it without help. My husband usually does the lights, but I even did those this year. I love the festive feeling the tree gives the entire room. And it smells so good. This is before we had presents under the tree. I keep trying to type three instead of tree! And, to make this totally random, I'm watching The Big Bang Theory right now. 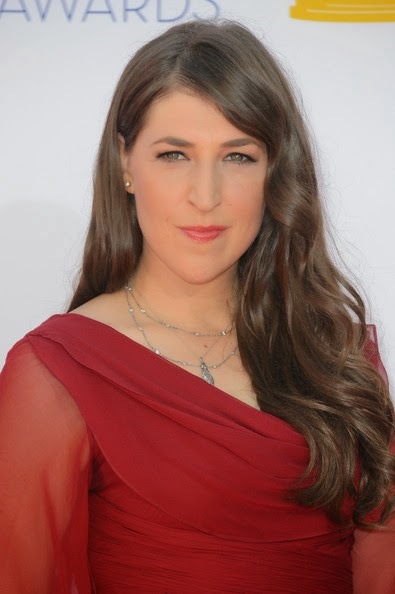 Did you know that actress Mayim Bialik who plays Amy Farrah Fowler (and used to be Blossom on the TV show of the same name) earned a PhD in Neuroscience? Beautiful (she really is! ), famous, married with children, talented... and smart! And there you have it... Totally Random Tuesday! 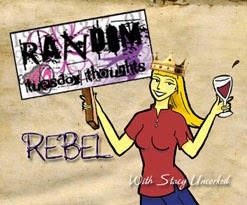 How about some randomness today with Stacey Unocorked? 1. I wonder how many people are actually offended by the words, "Merry Christmas." 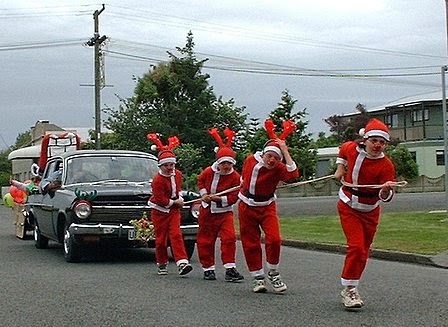 I know a few people who are of other religions than Christianity, but I don't know if the word Christmas is offensive to them? I wonder what the percentage is of those who have a problem with it. The school district I worked in over 20 years ago was already succumbing to pressure. We were not allowed to decorate our classrooms for any holiday (Halloween, Christmas, etc.). Why does the majority cave in to the minority? Or are Christians no longer the majority? 2. I have not finished shopping. It seems like everyone is harder to buy for this year except maybe one daughter. Most of us have everything we need and most of what we want already. But I love giving gifts! 3. 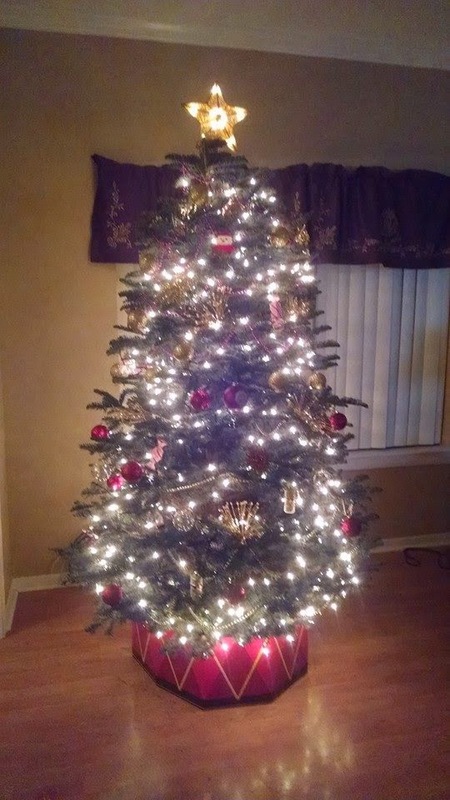 I also love my tree this year. It's simple but beautiful. 4. I also learned something from Pinterest that I love. 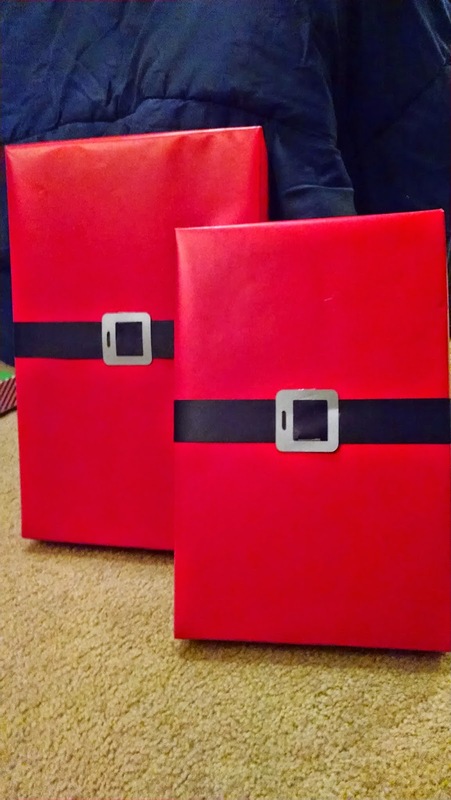 When you wrap a "biggish" present in red paper, put a black ribbon around the middle, then put a silver or gold "buckle" in the middle, it looks like Santa. It's so cute and clever, not to mention, easy! 5. My college kids are finished for the semester, but I have another 3 days. It can't come soon enough! Lots to do! Link up here for Thursday Thirteen! Spread the Word! 1. 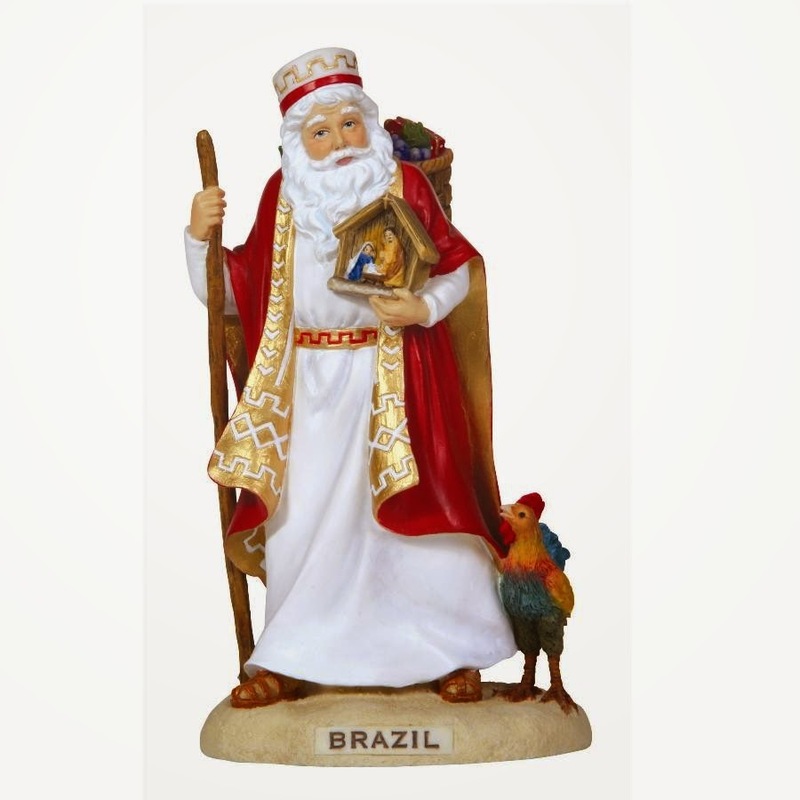 Santa Claus - This holiday hero had his beginning in the 3rd century with a man named St. Nicholas who lived in Patara (present day Turkey). He made his debut in America in the 18th century. 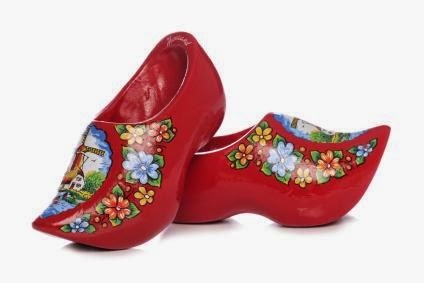 The name Santa Claus came from the Dutch nickname for St. Nicholas, Sinter Klass. 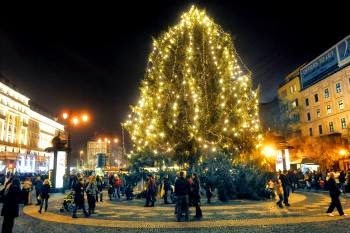 There is actually a whole lot to the story of Santa Claus if you'd like to read it at the St. Nicholas Center website..
5. 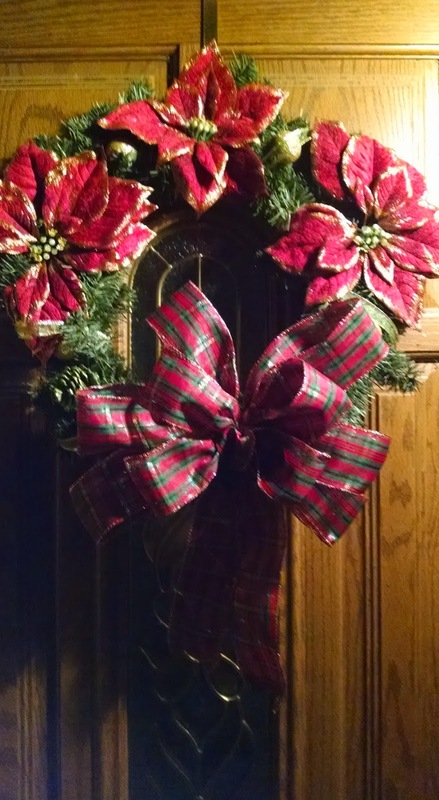 Wreaths - We have an evergreen wreath on our door right now. 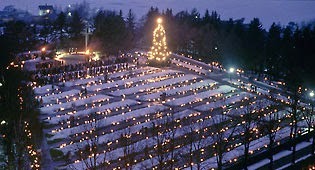 It provides a festive atmosphere at Christmas time. Long ago, people worshiped evergreen holly as a sign of eternal life. 9. The 12 Days of Christmas song - Apparently, Roman Catholics in England were forbidden from openly practicing their religion during the years 1558 to 1829, so the song was created with hidden meanings in order to teach their faith without being discovered. Go to the Catholic News Agency website for the hidden meanings. 13. 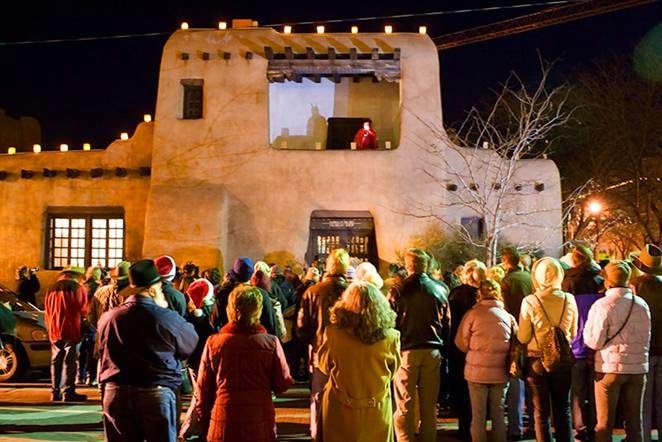 The Nativity Scene - The story of Jesus' birth is recounted in the Bible in Matthew 1:18-25 and Luke 2:1-20. 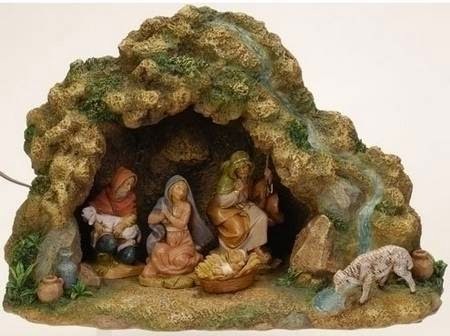 But when did people begin creating the visual Nativity Scenes you see during the Christmas holidays? St.Francis of Assisi is credited with creating this scene as a way to share the Christian faith with those who could not read. Hey all you bloggers! Let's revive Thursday Thirteen. The blog (which is actually the second Thursday 13 meme blog) has not been active since July. Maybe third time is a charm! Let's get it going again! So, I offer, 13 possible Thursday 13 topics. 1. 13 places you would like to visit. 2. 13 of the best gifts you've ever received. 3. 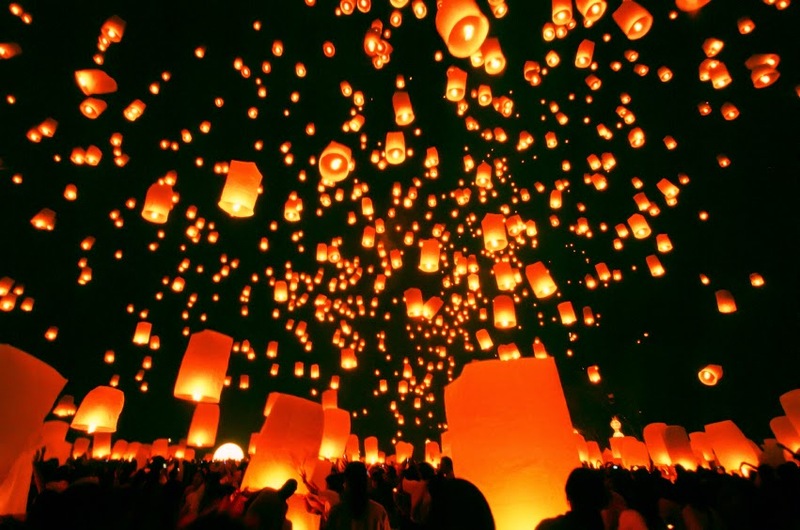 13 things on your bucket list. 4. 13 of your favorite songs. 5. 13 of your favorite books. 6. 13 things you'd like to change about the world. 7. 13 things you never say to (fill in the blank) - could be your husband, your co-worker, a pregnant woman, whatever! 8. 13 places you never want to visit again. 9. 13 things that are near you right now. 11. 13 favorite songs (or holiday songs). 12. 13 memories about a person you love. 13. 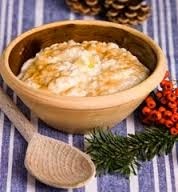 13 foods you like. What are you writing about this week?